Ocean View Press, 9780976191612, 138pp. Are you an author? Do you have a new book that you're looking to promote to potential new fans? 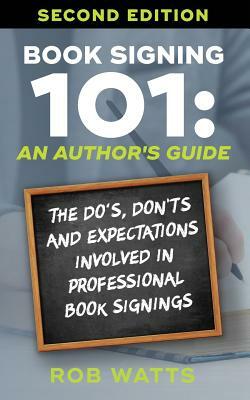 Have you considered venturing out into the book signing circuit? Maybe you've thought about it for a while but haven't been sure how to go about it. Perhaps you're reluctant because you don't know what to expect. Book Signing 101: An Author's Guide gives you a simple and straightforward breakdown of everything involved in book signing events, from where to hold your event, what to have with you, what to avoid, how to save money, how to carry yourself like a professional author and much more.